Comments: The item shows wear from consistent use, but it remains in good condition and works perfectly. All pages and cover are intact (including the dust cover, if applicable). Spine may show signs of wear. Pages may include limited notes and highlighting. May NOT include discs, access code or other supplemental materials. Comments: Cocked Spine. Creases on Cover and/or Spine. Worn Corners and/or Page Edges (Possibly Bent). Soiled Cover and/or Pages. Reading Copy. May have damage to cover, notes, underlining, highlighting, but all text legible. Purchasing this item from Goodwill provides vocational opportunities for individuals with barriers to employment. 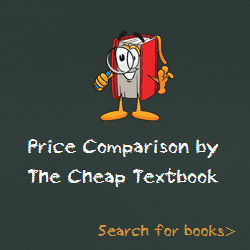 This entry was posted in Book and tagged 0323085490, 978-0323085496, 9780323085496, Top Sellers on January 9, 2014 by Textbooks.